Are You Ready For A Psychic Reading? - Best Phone Psychics Readings Reviews of 2017. 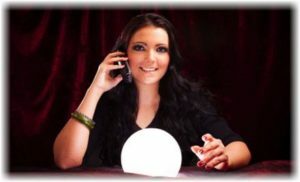 Find Real Phone Psychics! 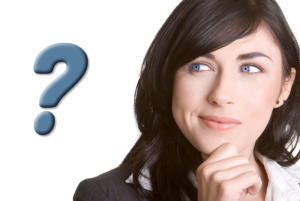 Home » Articles » Are You Ready For A Psychic Reading? Having a psychic reading is a once-in-a-lifetime experience for most of the people. So, if you’re thinking of having a psychic medium reading, here’s how to do it properly. So you’ve decided to do something different… really different. Not everyone experiences a psychic medium reading in their lifetime and if you’re planning on having one, you want to make sure you’re getting the best experience possible. We spoke to one of Australia’s leading psychic mediums, Julie McKenzie,who appeared on Channel Seven’s The One in 2011 and won the coveted International Psychic Challenge held in Ukraine in 2014, to give advice on how we can properly prepare for our first psychic medium reading. Julie says you should never just go and see a psychic medium just for the sake of it. You should always have something in mind that you’re hoping to get out of the experience. Just be prepared for whatever the experience may bring with it. 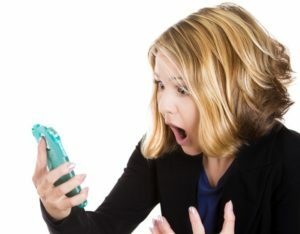 The general public don’t deal with psychic mediums every week, so if you’re unsure of how to find the right psychic medium for you, Julie has helped us put together an article on how to spot the frauds of the industry, here. 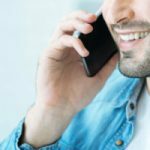 It includes things like doing your research, ensuring face-to-face contact and asking if they offer money back guarantees. It’s always best to prepare questions and have people in mind you’d like to connect with or aspects of your life you’d like to know about before heading to the reading. This will help you maximize your time with the psychic medium and ensure you don’t leave wishing you’d asked something or done something differently. 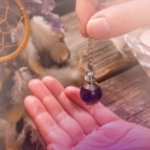 Some psychics will require jewellery or photographs, and it’s best to inquire about this before you attend a reading. Julie says that she personally doesn’t require anything physical to connect with Spirit. Instead, she holds the hands of the person getting the reading (just at the beginning) and uses heart connections throughout to receive messages from the other side. Julie says you need to trust what you feel is right or wrong from a reading. She says to remember there’s never going to be a physic or medium in the world who is going to be 100 per cent correct. In the end she says we’ve all got very good gut instinct and to trust it foremost if you feel something wasn’t quite right with your reading. Exercise your own freewill and don’t focus on replicating or auctioning what is said in a reading. Julie says you need to live your life as normal and when the predicted things happen they will simply be “ah-huh” moments. You should never focus too much on what is said in a reading as this may then change the course of your life and the reading will become redundant. Julie strongly suggests you should space your readings by at least six to 12 months. The only exception she would make is if someone close to you passes away. However, it’s just not healthy to see a psychic medium regularly.